Home › Articles › How Much Does Canada Spend Cleaning Up Dripping Hand Rub? Canada has a hospital bed density of 2.72 beds (which changes year-to-year) per 1000 people, which is comparable to the UK or US hospital density. As of 2017, our population is 36.29 million, which means that according to these numbers we have a total of roughly 98,709 active hospital beds in the country. This is a useful number because we can use the research and findings that we attained through several high-level meetings with a local, giant teaching hospital campus, divide by their number of beds and apply it to the country as a whole. Translating the costs involved in dispenser change-over at end of their contract sees hand rub dispensers as costing Canada $24,677,200 every 3 to 5 years due to wall damage caused by removal and installation. Because this process often prevents putting the replacement in the same spot, dispensers also tend to lose their ideal mounting spot which has accessibility implications if it moves it out of reach. An issue that didn’t make it to our previous article is that of daily, mandated cleaning on and around every ABHR dispenser. Based on observations of cleaners at work, this costs the country $8,806,799.14 every year just cleaning the liquid residue below dispensers and the wall and floor area around them. This takes much longer than it should, as flimsy plastic drip catches are prevalent and need to be handled carefully lest they fall off and go missing, which means they drip and require extra cleaning. What Else Haven’t We Mentioned? 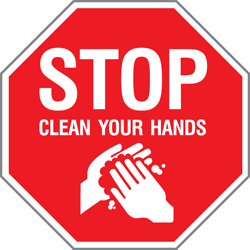 At the forefront of all hand hygiene discussions are the costs of treating healthcare-acquired infections (HAIs); according to the Canadian Patient Safety Institute, HAIs cost the country $12,216 each year per patient for one species (MRSA) alone. That doesn’t include C. Difficile, VRA or other more-or-less treatable infections. Performing hand hygiene at the right time is the best method of HAI prevention, which is why it needs a serious, fully-thought-out and supported approach to promotion – something dispensers alone don’t do. Wall painting is another issue, as dispensers that are directly adhered to walls need a great deal of extra work to tape around and carefully handle versus simply using a roller. What about the risk of falls and facility floor damage caused by missing drip catches? All of these costs are why we make the Tagg Clean-Hands® Compact Wall Sanitizing Station. They’re made to prevent wall damage and to make cleaning around ABHR dispensers quicker and more efficient for workers who have to do it on a daily basis – every second of time saved is money saved across the system. It’s designed to be a true, facility-wide hand hygiene infrastructure that actually protects your current infrastructure – the hospital building.